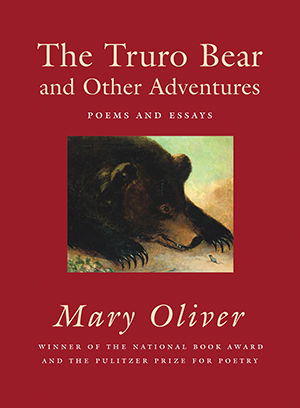 In The Truro Bear and Other Adventures, Mary Oliver brings together ten new poems, thirty-five of her classic poems, and two essays, all about mammals, insects, and reptiles. The award-winning poet considers beasts of all kinds: bears, snakes, spiders, porcupines, humpback whales, hermit crabs, and, of course, her beloved and disobedient little dog, Percy, who appears and even speaks in thirteen poems, the closing section of this volume. "From the small, the curious, and the commonly overlooked—grasshoppers, snow crickets, and whelks, for example—to the wild and intimidating, like coyotes, and, of course, the possibly mythical bear that haunts the Truro woods, the natural world is made more real and dangerous and, yet, inexplicably inviting in these poems . . . There is even a baker's dozen of poems about Percy, her dog, a lovable recurring character in her work. Recommended for all contemporary poetry collections."